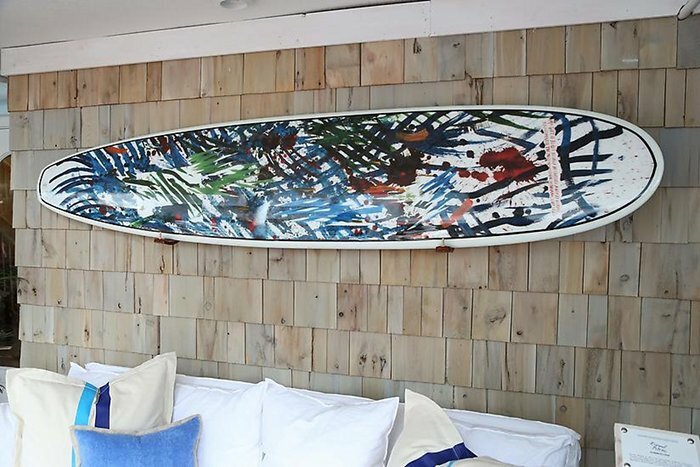 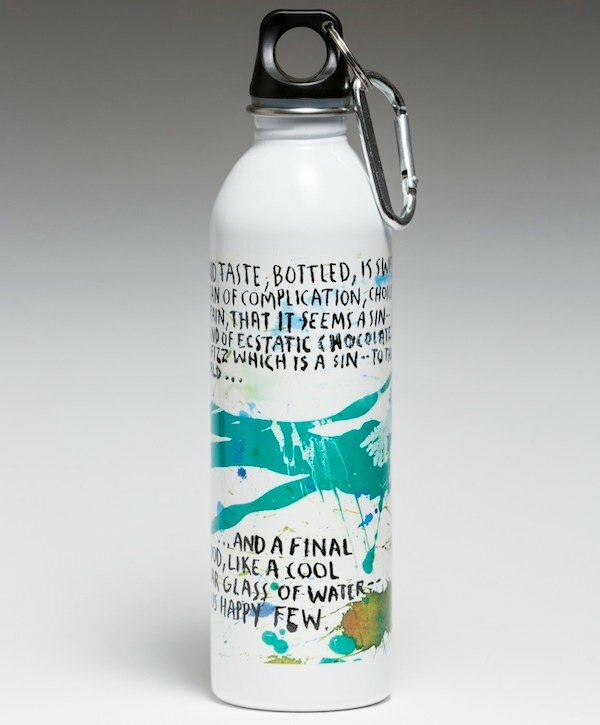 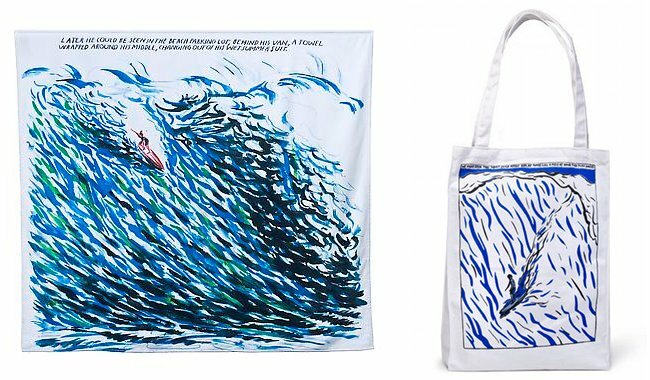 By now, you can basically go to the beach fully equipped in Raymond Pettibon if you’ve been there at the right moment to get his mostly limited edition pieces. 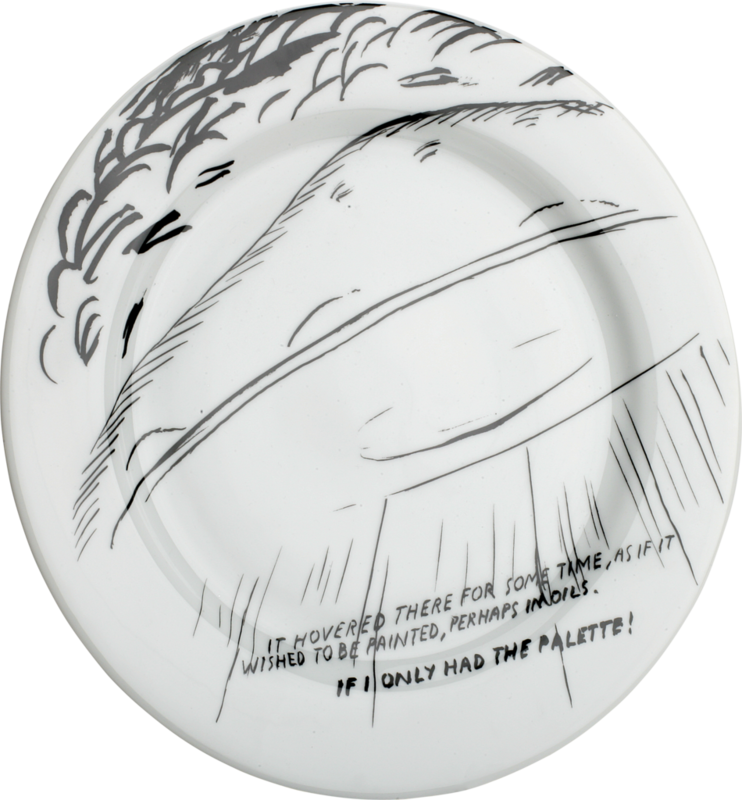 A beach towel, water bottle and not to forget a plate for some snacks inbetween will easily fit in a tote bag with a similar motif that you’ll hold in the other hand than your surfboard signed Pettibon. 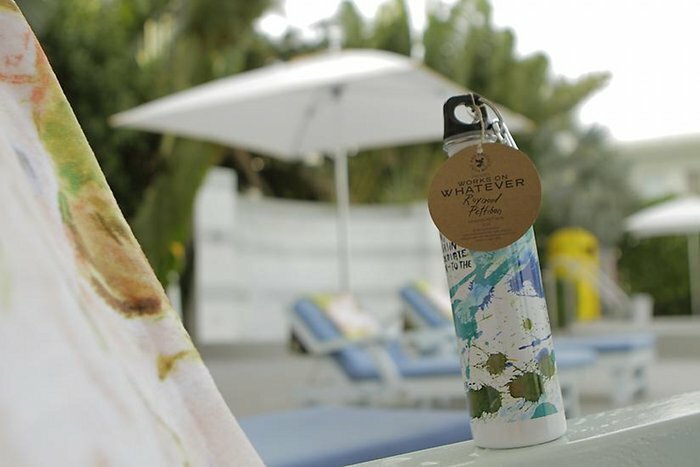 This is how the recurrect sujet of water and surf culture in Pettibons’ artwork found a new form of materialization: exclusive objects of daily use.